Following the controversy generated this week by the Justice Department (DOJ) in revising its interpretation of the Wire Act, there is a chance — however remote — that the 116th Congress could decide to update the 57-year-old far-reaching law that threatens to limit (or even bring down) the American online gaming industry. Many policy and legal experts say the law could be revised so it is more clear what it specifically covers, especially with the many advances in technology and changes to the US legal betting scene since the 1961 Wire Act was passed by the Kennedy Administration, largely as a reaction to what was then seen as the ominous forces of organized crime, specifically the Mafia. Laurel Loomis Rimon — a former Justice Department supervisor who is now senior counsel at Washington, DC law firm O’Melveny & Myers — told Casino.org this week that Congress “can certainly revise the Wire Act to clarify the breadth of the act and whether it applies to non-sports gaming. “It could also modernize the Wire Act’s language to take into account online gaming and modern electronic transmissions,” she added. “I think it is likely that there will be a move in Congress to address the arguable ambiguity in the Wire Act with respect to the scope of gambling that is covered, given that there has also been the recent expansion of legalized sports betting, and there are many stakeholders eager to move into online gaming platforms, and many consumers excited about having more options and more convenience in betting,” Rimon opined. Michelle Minton, a senior fellow at the Competitive Enterprise Institute who has written extensively about the act, told Casino.org, that one “simple” addition Congress could make which would end “much of the confusion” is to clarify terminology. “Adding definitions for the terms used in the act would clarify to what types of gambling it applies, whether the Internet is included in the term ‘wire communications,’ and what types of transmissions are considered ‘interstate,’” she explained. “For example, UIGEA [the Unlawful Internet Gambling Enforcement Act of 2006] expressly determines interstate transmissions based on the state in which the transmission was initiated and where it was received. As currently written, one could interpret the Wire Act as classifying transmissions made and received in the same state as ‘interstate’ if the data, at any point, was routed outside of the state,” she clarified. “This would make the second paragraph much more clear in its purpose to protect media reporting on sporting events and transmissions related to sports gambling when the activity is legal in the states where it occurs,” Minton said. When asked for his outlook, G. Robert Blakely — a law professor at Indiana's University of Notre Dame and an acknowledged scholar on 1970's Racketeer Influenced and Corrupt Organizations Act (RICO), noted that “the Wire Act is indeed old. “It was enacted to parallel the mail fraud act,” Blakely told Casino.org. “Congress has no general criminal power. Federal crimes are tied to federal powers. That is the mail (mail fraud) interstate communications (wire fraud) or interstate travel (travel act). They are three ways to get at fraud. Other statutes cover other frauds (securities fraud, SEC). But political realities could restrain what Congress — and the White House — could accomplish vis-a-vis the act. “It is always a good idea for Congress to look and see what [the] DOJ does with any statute,” Blakely told Casino.org. “But with this Congress and president, I am reluctant to say anything. They cannot agree to keep the store open,” he said, referring to the current government shutdown. “Talking about whether the store is selling the right kinds of things seems almost silly … but until we get the store open, it is fruitless talking about much else,” he noted. Casino magnate and Republican megadonor Sheldon Adelson — an outspoken proponent of the move to ban online gambling and a major RAWA supporter — has also donated to Graham’s past political campaigns. Originally, the enactment of the Wire Act was seen as part of the Kennedy Administration’s many initiatives against organized crime. Much of it was led by then-Attorney General Robert Kennedy, brother to then-President John F. Kennedy. “Bobby organized the most extensive campaign against organized crime in American history,” Larry Tye, author of the new bestseller Bobby Kennedy: The Making of a Liberal Icon, told Casino.org. [He would probably be] “shocked, I think, about most everything the Trump Justice Department is doing,” Tye added. 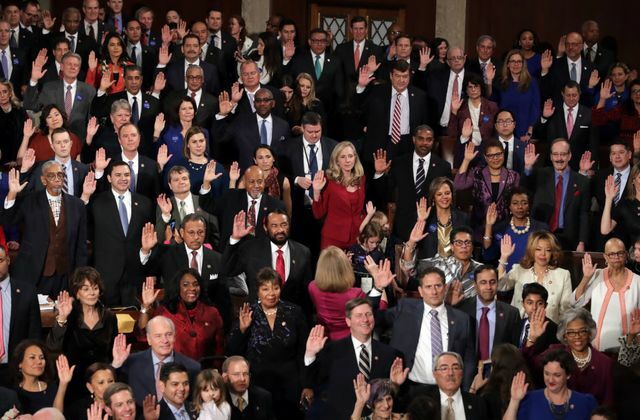 The post Congress and the Wire Act: How US Legislators Could Affect the Fate of Online Gaming appeared first on Casino.org.